BCIA is an autonomous, non-profit corporation formed in January 1981 to establish and maintain professional standards for the provision of biofeedback and neurofeedback services, to certify individuals who meet education and training standards, and to progressively recertify those who advance their knowledge through continuing education. BCIA currently offers certification programs in Biofeedback, Neurofeedback, Pelvic Muscle Dysfunction Biofeedback (PMDB) and a certificate of completion in HRV Biofeedback. The Association for Applied Psychophysiology and Biofeedback (AAPB) is a scientific, educational, professional membership organization whose members work in a variety of settings and serve in multiple capacities. It is AAPB’s mission to promote and represent the science and practice of self-regulation to enhance health and performance. Visit www.aapb.org or call 800-477-8892. The European Society for applied Biofeedback and Neuro-physiological Procedures (EGBNV) is dedicated to build a common framework for experts, researchers, opinion makers, doctors and other healthcare and non-healthcare professionals. The society's primary goal is to function as a charitable = non-profit organisation and to establish national and international networks and cooperations with the aim of helping people in Europe by means of suitable bio- and neuro-physiological treatments. The Asociación I+D Neuroterapias is a Spanish association born in 2013, with the clear purpose of serving as a link between psychotherapy and neuroscience. Its aim is to be a nexus of union among professionals and to build a framework with quality standards and clear principles of action in our profession. 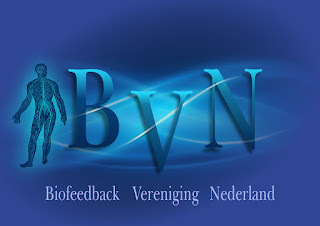 The Dutch Society voor Biofeedback (BVN) was founded 5 years ago. It was the follow-up of the local settlement of the Biofeedback Foundation of Europe (BFE) of whom Danielle Matto had been the representative for more than 10 years. Our main principle is that for the recovery of psychological and psychosomatic problems, in general, the behaviour of the body is neglected. It’s our aim to stimulate the use of physical signs for stimulating health by various ways of biofeedback to fill this gap.